Two weeks ago at my Stamp-In Workshop, my girls had the opportunity to choose their own color palette for their project. I set my metal container full of all my Washi Tapes in front of them, and they got busy picking out ever so lovely color/print combinations. I had been fairly pleased with the two shown below that I'd had as samples. But, when I saw what my girls came up with -- I was jealous! When making these little guys, you need to be very careful with the dimensions of the covers, both front and back. You see, I have discovered that they are not identical in size. Each one has to be measured. Measuring the entire covers minus the cool black tape binding, you use a piece of scrap cardstock for your base. 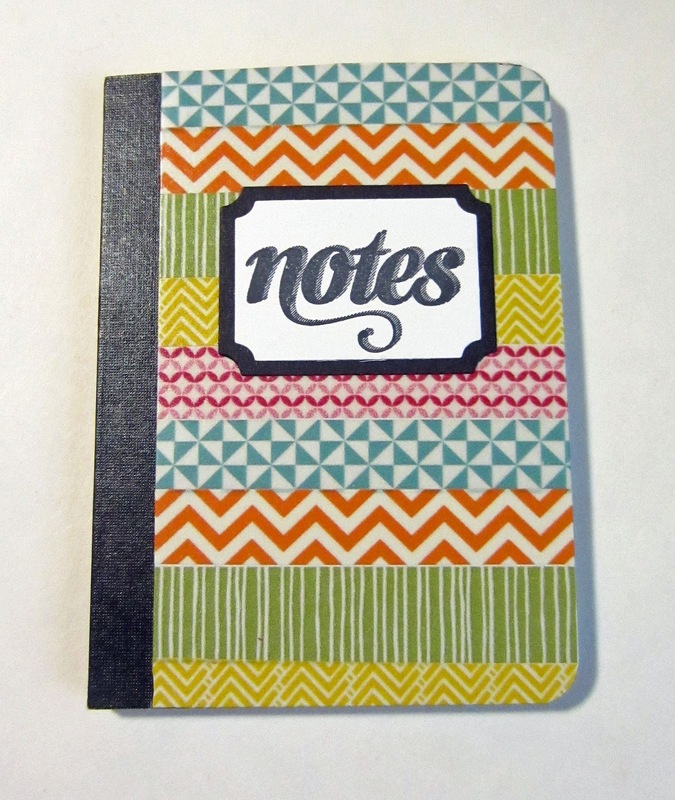 Once your color choices are made, simply start at the top of the scrap laying down strips of Washi Tape. I made my ends extend beyond both edges so I could simply fold the tape neatly to the back of the base before adding it to the notebook. Adhere the completed piece to the front of the notebook by putting adhesive on both areas -- the taped piece as well as the notebook, to assure a firm hold. Be especially careful to extend the adhesive to all the edges, so it doesn't peel away. Once your front is finished, choose a prominent color from your chosen Washi Tapes, and cut a piece of cardstock in that color -- AFTER MEASURING THE BACK for the perfect dimensions. Adhere this piece the same as you did the front. 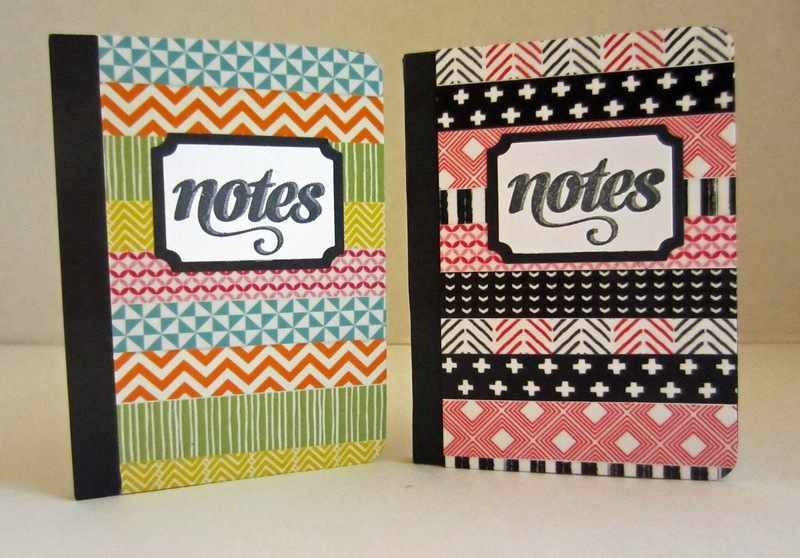 For the top Notes Book, I used Lost Lagoon on the back, while the one below sports a red back. I wasn't sure how to decorate the front. I thought of various things, i.e., flowers, butterflies, something else. Until . . . I remembered that way back in the beginning of the Paper Pumpkin history, there was a stamp that said something like . 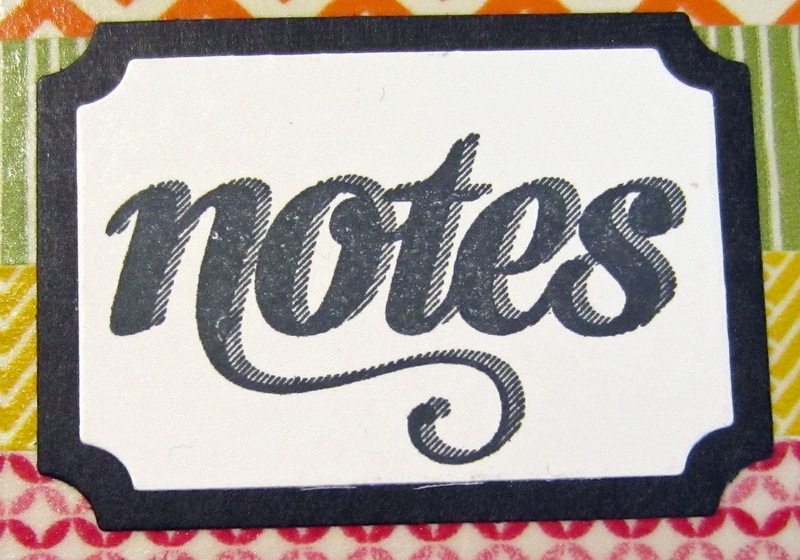 . . "notes". Uh huh! It was easy to find. And it was the perfect look and size. 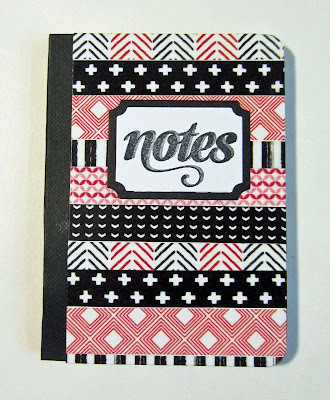 After stamping the word in black, which coordinated so well with the black binding, I cut out the white piece as well as one larger in black using the Tags & Labels Framelits on page 193 of the catalog. A perfect gift idea!! Thanks for sharing on the Pleasures of the NW's DIY party! Those turned out great! 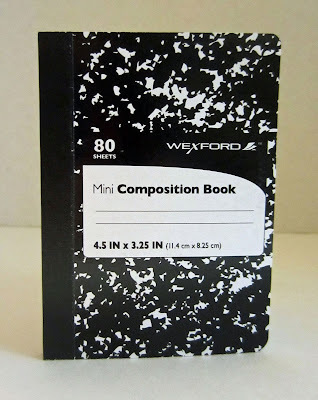 I can always use a small notebook. Thanks for sharing with #overthemoon! These are so much fun! Thank you for sharing with us at the To grandma's house we go link party! Pinned! This is such a great idea! 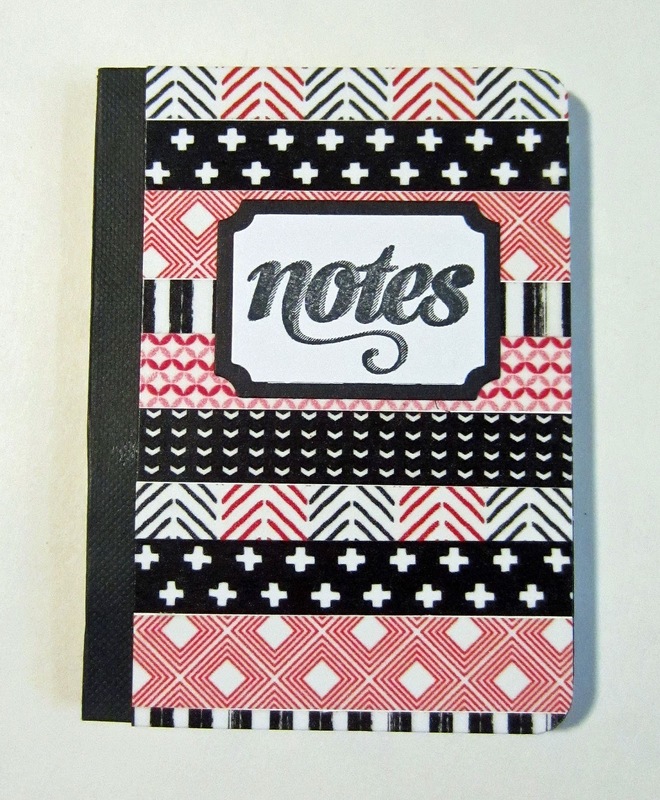 I've bought tons of notebooks and it never occurred to me to cover them. Thank you so much Linda! 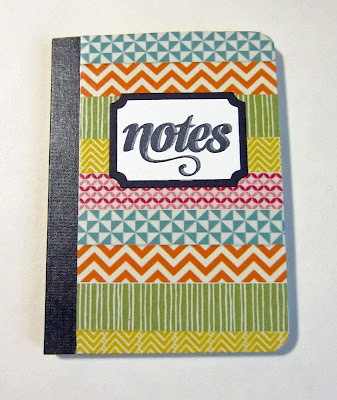 I've never thought about decorating these notebooks before, but I LOVE that idea! Off to wrangle up some supplies right now... Thanks for joining us at #FridayFrivolity this week! I remember using these types of notebooks when I was a kid in school. That was a long, long time ago. 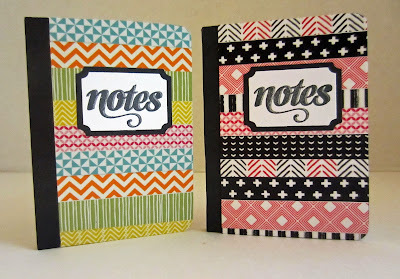 They look really great and the color combinations make them fun and full of life.